Elliot Spencer grew up in the Darling Downs region of Australia where he first started filmmaking. His short films have won various international awards and he has received craft awards for both editing and cinematography. He was granted a full academic scholarship to study Film and Television at Bond University in Queensland, Australia. 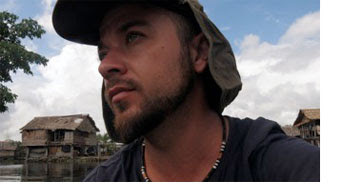 Spencer’s body of work as a filmmaker tends to tell strong human stories while simultaneously tackling complex contemporary matters such as refugees, indigenous issues, and the environment. Liborio is an opening night world premiere film that is not to be missed! The Garifuna International Indigenous Film Festival is pleased to announce the WORLD PREMIERE SCREENING of Liborio: An Artist of the Solomon Islands. 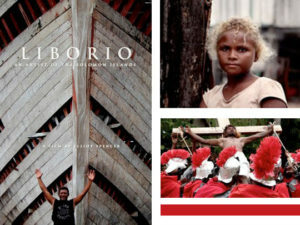 Directed by award-winning filmmaker Elliot Spencer, Liborio: An Artist of the Solomon Islands is a visually stunning documentary that traces the story of Liborio Maemari, a painter, carpenter, and boat builder from the artificial Islands of Malaita, Solomon Islands. Liborio’s artwork features religious imagery from the Catholic Church alongside paintings that represent traditional customs of the Solomon Islands. The film reveals both the strength and vulnerability of Solomon Islanders and celebrates the traditional customs that have endured through the collateral damage wrought by the First World War, blackbirding ships and indentured labor, natural disasters, and more recently, rising sea levels.